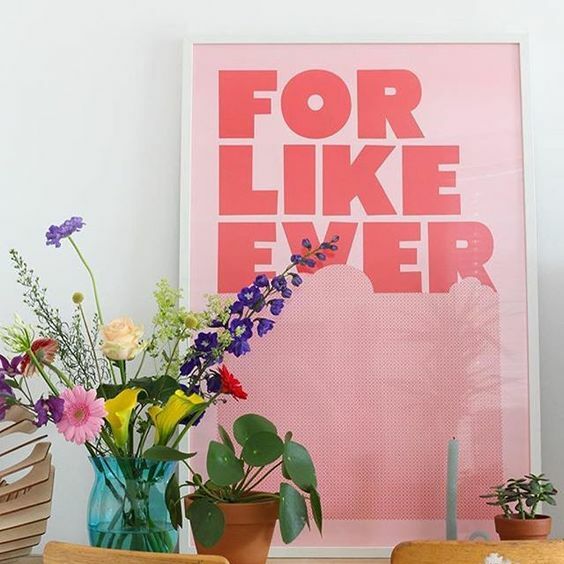 Here are also some other prints that I particularly like lately…we are trying to pick some artwork for the walls in our home but Freddy and I are at loggerheads…he likes more traditional and I like really funky bright pieces…like the following list! EeK! 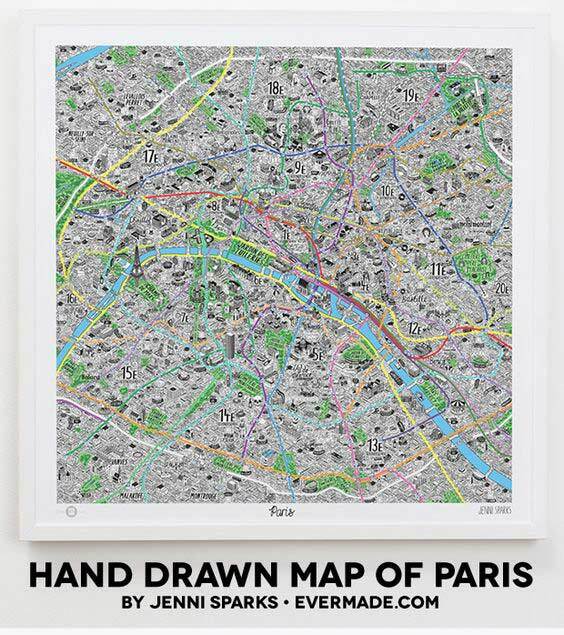 We already have the Map of Paris picture above…I was gifted this by EVERMADE about 3 years ago and have never been able to find a frame for it as it needed a 60 x 60 cm frame and all of the frames out there seem to be oblong…but now I have managed to find a frame suitable on EBAY! and I will be adding this lil beaut to my walls soon…I love this picture because it reminds me of all those times Freddy and I went to the brocantes and picked up shutters an enamelware for our home…those were the days! 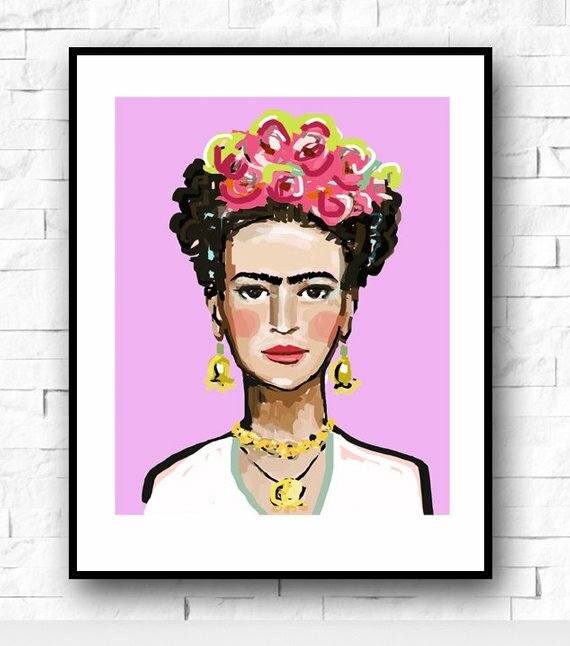 This beautiful print above is of Frida Kahlo and after Freddies day out HERE I have been reading all about her again…don’t get me wrong I have been a fan of hers for blooming ever! But my brain, now it is older, can forget! EeK! and every now and then its nice to refresh you brain isn’t it!…I love this woman! 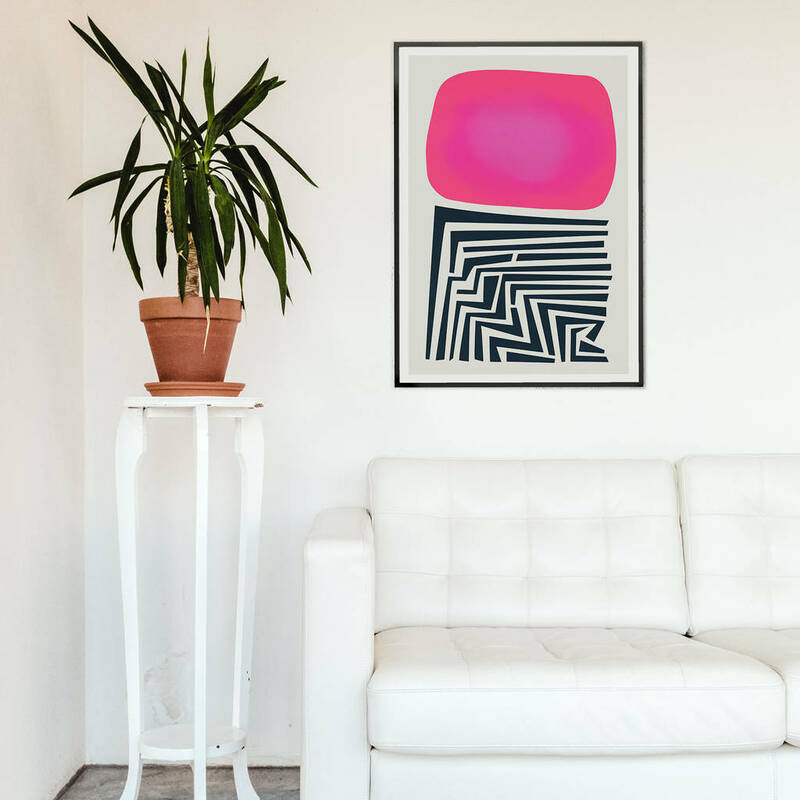 she was so ahead of her time and to have a lovely print like this on our walls…would be brilliant! I think I might be going through a pink phase!…and I don’t really know why I like the one above but I do!…the long pink drip reminds me of tears and all the mess reminds me of my brain, but the light blue reminds me of the blue skies of summer…and because of all the pink it makes me feel quite uplifted…like at the end of all the pain is light!…Do you think I might be going mad! lol! I so love this print too…it is another piece by Jenni Sparks now she is one talented lady!…the link to Soho, for me, is because my old Nanny Hilda, used to say that we were related to Freddy Mills the boxer and he had a club in Soho (not proven just what my Nan used to tell me when she was alive)…so that is why I am loving this one…and again it is pink! 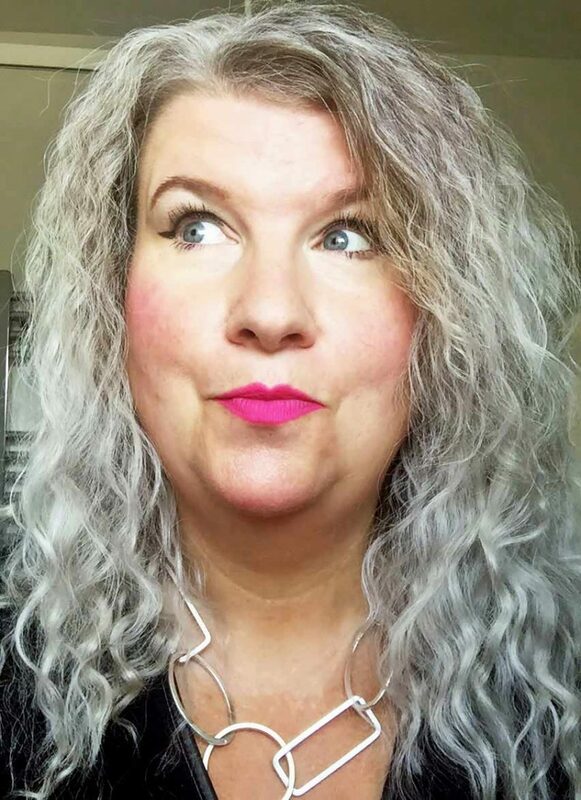 I think I am replacing the red that I used to love so much with pink! Much to Fred’s horror lol! 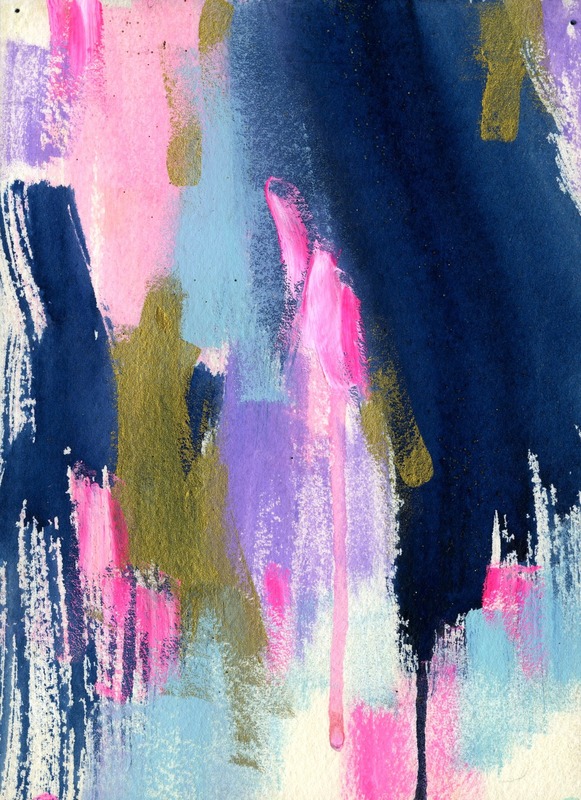 Do you paint yourself?What artists do you particularly like?